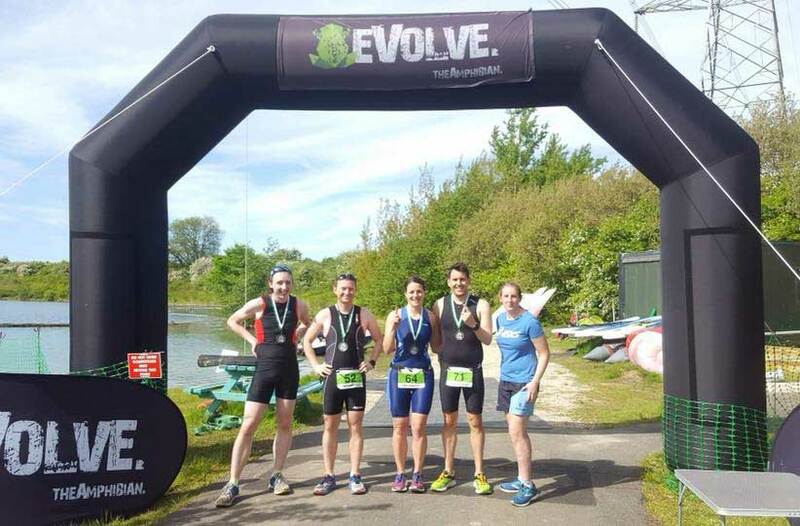 After visiting the Blue Lagoon for an open water swim a few weeks ago, I returned to compete in their sprint distance triathlon. I got there one hour forty-five before the race, which was more than enough time to faff about. Despite warnings of rain, it was gloriously sunny. Too sunny in fact: despite the copious amounts of sport-specific suncream (at £8.50 per bottle) I applied, I still came away with sunburn. 54 of us took part, and I ended up about two-thirds down the rankings in 33rd. 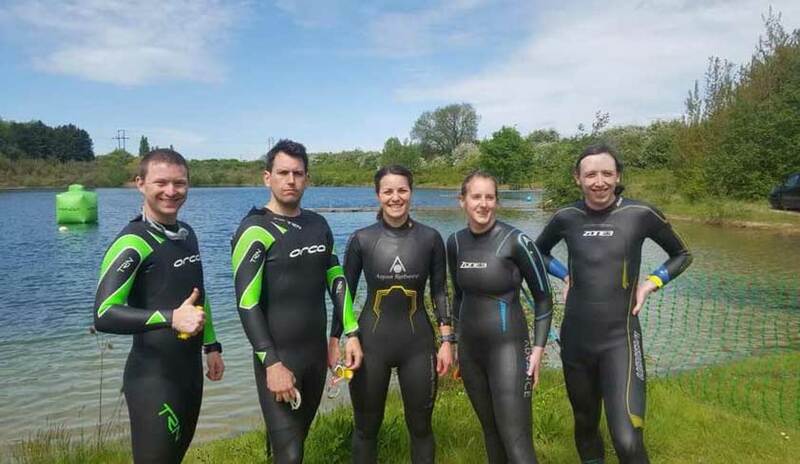 The swim went well: the water temperature had risen to a balmy 16.2 degrees C. That still feels really cold when you get in, but once you are swimming it is fine, and my hands were still mostly usable when we came out. I managed to avoid being last in the swim and things only went forward from there. The bike course was two laps around some local roads. There were very quiet and I barely saw any cars. It’s a pretty flat course with only one real hill and no serious descending, so it suited me well. The run was a bit too warm but otherwise fine. 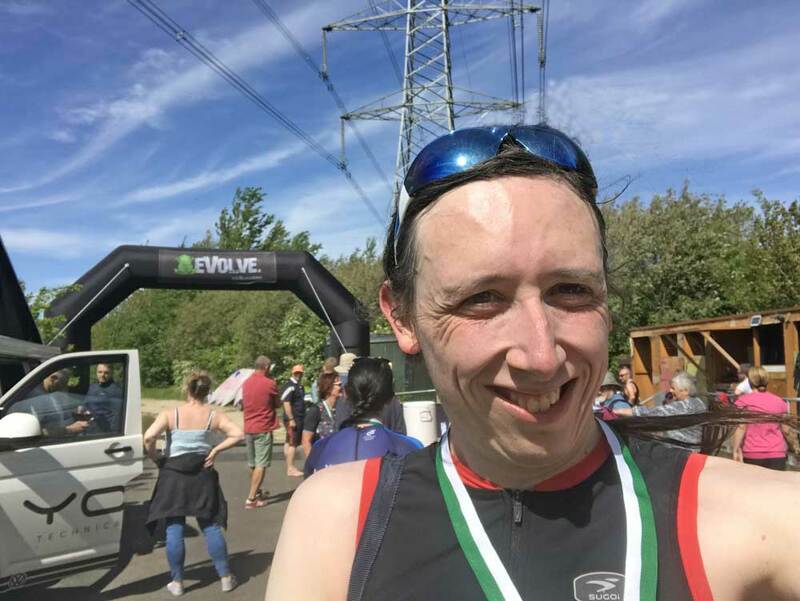 Here is a comparison between my time here and Skipton triathlon. I put this in more because it looked interesting than that it is of any value. It’s very difficult to compare across venues as they all have different lengths. This was a 500-metre open water swim, vs the 400-metre pool swim at Skipton, but also the distance between getting out of the water and getting to my bike varies massively. I’m fairly sure the run distance here was less than 5km as I’ve never run a 21:14 before. Skipton was also a lot hillier. But this table isn’t completely pointless. I’m pleased that my T1 time didn’t increase even though I had a wetsuit to take off this time. It was my first race as a member of Hyde Park Harriers and it was a nice perk to be part of a club rather than hanging around like a total loner. Everyone was very friendly. A big thank you to Graeme for spotting me and Gill for bringing the bacon, and congratulations to Naomi for winning first place in the women’s category. This entry was posted on Saturday, May 19th, 2018 at 11:00 am and is filed under Sport. You can follow any responses to this entry through the RSS 2.0 feed. Both comments and pings are currently closed.